But as you probably already know, typically paid survey sites only pay very little in return for your opinions… So what’s the deal, will Paid Surveys Online scam you? Or can you really make money through their site like they claim? What Exactly Is Paid Surveys Online? 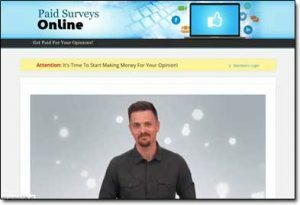 Paid Surveys Online is a relatively new website which has allegedly been put together by a lady named Lauren Anderson & it promises to provide you with a way to earn as much as $50 per survey from online paid survey sites. Lauren claims that the “trick” she discovered completely changed her life & that she’s now put the Paid Surveys Online website together to help others change their lives just like her. She then goes on to state that by signing up to her program you’ll get access to high paying surveys & that if you complete them regularly you’ll be able to earn enough money to quit your job & work from full-time from home. It all sounds pretty interesting… After all, who wouldn’t want to earn such substantial amounts of money in return for completing such an easy task as filling in a quick & simple little surveys online? Sadly though whilst it might sound interesting, it’s not at all true. In fact the Paid Surveys Online site is actually just a rehashed version of the Gold Opinions scam that I exposed on this blog literally the other day. So when looking into paid surveys, whilst there are indeed some legitimate paid survey sites it’s always good to keep on your toes. If the opportunity sounds too good to be true, then as the saying goes – it probably is! Obviously though I don’t just expect you to take my word for it when I say it’s a scam though – after all I appreciate that you might have been getting really excited about the potential of earning money from home… So instead keep reading & I’ll show you exactly how it all really works so that you can see for yourself what’s going on. How Does Paid Surveys Online Work? Essentially the Paid Surveys Online website isn’t actually a paid surveys site at all – the site is just selling you access to a rather lame digital product instead (which I’ll explain more about in a moment). They provide the platform to connect you together, and they handle the payments from the companies – taking a little cut for themselves then passing the remainder down to you in return for your efforts. A good example of a reputable & legitimate paid surveys site would be Global Test Market. The Paid Surveys Online site on the other hand doesn’t do any of that. They don’t work with any survey companies & they will not be the ones providing you with any surveys (despite what they promise). The Paid Surveys Online website is just a hyped-up sales page to trick you into purchasing an educational product. So whilst you think you’re going to be getting access to high-paying survey sites after handing over the requested $27 entry fee, all you really get access to is some training which allegedly contains the “secret” to earning lots of money from paid surveys. And guess what the so-called secret is? According to them the “secret” is to simply sign up to as many paid survey sites as you possibly can. That is their “revolutionary” trick of making lots of money from paid surveys. But guess what? It won’t work! It doesn’t matter how many paid survey sites you sign up to you’ll never manage to make any sort of substantial income because they pay way too little in return for your time. For example if you were to complete paid surveys for 18 hours per day (which it’s unlikely that you’d ever get provided with enough surveys to do that) you probably still wouldn’t earn much more than $25. If you really want to earn a full-time income online you need to do something like affiliate marketing instead. My Verdict – Is Paid Surveys Online a Scam? Ultimately that totally depends on how you define a scam. I mean yes, in return for your money you do actually get access to something (even though it’s super lame), but the whole website is built up on lies & deceit & therefore in my opinion it is 100% a scam. I mean the truth is that there is just no way you’re going to make good money as a result of going through the Paid Surveys Online site – in fact there’s no way you’re going to make good money from paid surveys at all… They really are just a time-killer more than anything. 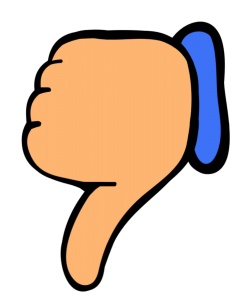 So overall I would advise that you avoid the Paid Surveys Online website because as far as I’m concerned it’s just been set out to make it’s creator wealthy at your expense & if you happen to spend money on it you’ll just find yourself disappointed at what you receive. Like I said earlier in this review it is indeed possible to make a full-time income online but it’s not going to be possible with paid surveys – plus it’s not going to be “easy” either… To make a good income online you must be prepared to put in some work (just like you would offline). 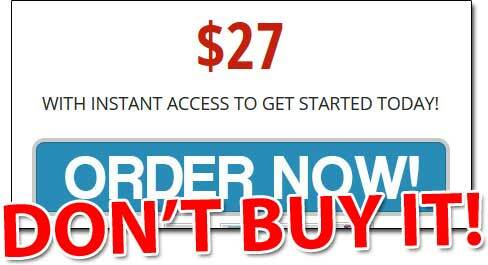 The good news though is that if you are prepared to put in the work then you can learn how to get started properly online over at Wealthy Affiliate – and it’s there that you’ll be able to work towards building a decent income. eMobile Code Review – The TRUTH! Bizmo Review – Is Bizmo World a Scam or Legit Way To Make Money?